Goth Gourmande: Snapshot: Anita Borg Scholarship Cake! 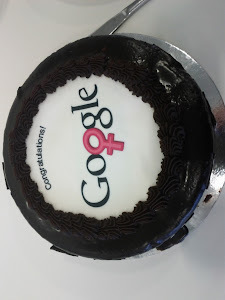 Snapshot: Anita Borg Scholarship Cake! If you're not already aware I work at the Big G, and periodically we get to do some awesome things... like host a women in computer science scholarship! Today is the finalists retreat and we organised a special cake for the winners.